A pre-competitive partnership between DILIsym Services, Inc. and multiple pharmaceutical companies to support development of DILIsym. The DILI-sim Initiative is a pre-competitive partnership between DILIsym Services, Inc. and multiple pharmaceutical companies to support development of the DILIsym modeling software. DILIsym is a mechanistic, mathematical model of drug-induced liver injury (DILI) in the form of computational software applied to predict whether new drug candidates will cause liver signals in patients and to enhance the understanding of mechanisms that contribute to liver safety signals already observed in the clinic. The goals of the Initiative are to improve patient safety, reduce the need for animal testing, and reduce the costs and time necessary to develop new drugs. 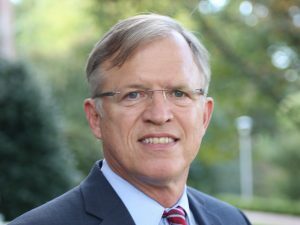 The DILI-sim Initiative is led by Dr. Paul B. Watkins, Director of the University of North Carolina Eshelman School of Pharmacy Institute for Drug Safety Sciences, located in the heart of Research Triangle Park, North Carolina. The DILI-sim Initiative is currently welcoming new members for the next 3-year cycle of development, Phase 3, which began in 2018. In joining the DILI-sim Initiative, members receive access to DILIsym, including a graphical user interface (GUI) to facilitate in silico experimentation and a live documentation site that includes a user guide and details model development. In addition, population samples (SimPops™) are included for assessing variability in response across a population, along with regularly scheduled model training and support. Perhaps most importantly, DILI-sim members have a prevailing voice in the development of DILIsym, ensuring future versions will be of maximum utility as it is applied within their respective organizations. Members also get the chance to hear and learn from one another at regular virtual and face to face meetings where scientific discussions centered around DILI occur. Additionally, DILIsym Services engages a world-class Scientific Advisory Board to provide strategic guidance and direction for our research programs. Finally, the DILIsym Discovery Support Program (DDSP) is only available to members of the DILI-sim Initiative. DDSP enables the use of DILIsym in preclinical programs at a lower price point than full consultancy projects and empowers in-house modelers in the use of DILIsym. A sample of the current members of the Initiative include AbbVie, Bristol-Myers Squibb, Gilead, GlaxoSmithKline, Janssen Research & Development, Mitsubishi Tanabe Pharma, and Sumitomo Dainippon Pharma. It is anticipated that additional members will join, as the Initiative continues to grow and meet its objectives. The FDA is also involved as a collaborator on the project. DILI-sim members meet three to four times per year, including one face to face meeting in Research Triangle Park, NC. Members receive updates on model development progress, propose new model features, provide input on proposed additions, and engage in discussions regarding basic concepts and mechanisms related to DILI. Additional meetings are also held occasionally to discuss important scientific issues. Each year, DILI-sim members are provided with an updated version of DILIsym, along with training and access to the DSSI team for support. The DILI-sim Initiative is currently open to new members.